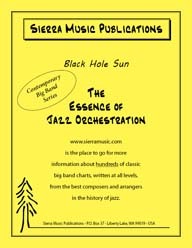 James Miley brings to Sierra another hip arrangement of a great contemporary tune. 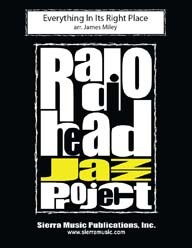 This is another Radiohead tune, arranged by Radiohead Jazz Project pioneer, James Miley. Radiohead is an English alternative rock band. James Miley brings us an original, fresh and fun-to-play composition titled "Swing State. “There, There” (subtitled “The Boney King of Nowhere") was recorded on Radiohead’s 2003 album Hail to the Thief.